Lighting is everything, or so it seems. 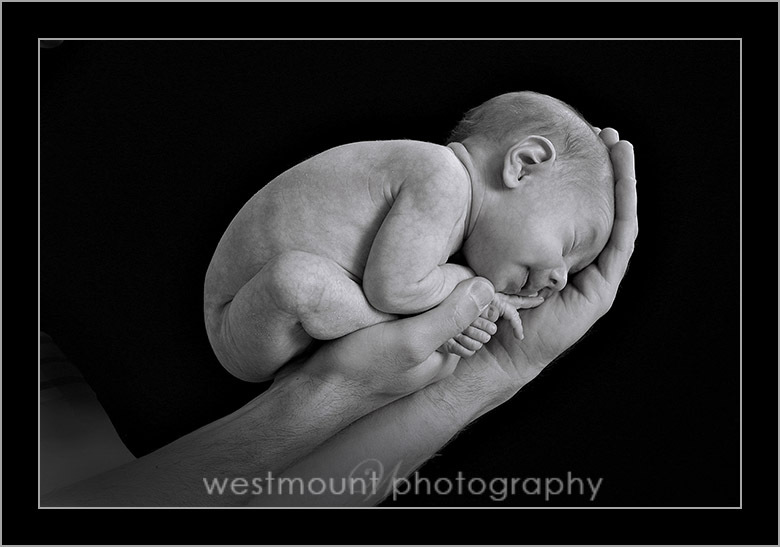 In photography it certainly plays a huge role. After all, photography means: painting with light. We are artists who paint with light. One of my all time favorite “painters of light” has been Fuzzy Duenkel. I know of no one who can create such fluid, balanced and flattering portraits. All done on location. All done with his unique lighting style. he seems to consistently create unbelievable high quality images over and over. sandwich board style light reflector that works gangbusters. series we ran last winter. This was one of my all time favorite Advanced Training Series ever. I mean, they were all good. But this one was even gooderer. One the bestest. Ever. And I recorded the whole thing, installed it in the noBsphotoSuccess™ inner circle forum. and babies, and it just screams quality? And you wondered how did they do that? I have the answers. His name is Fuzzy Duenkel. Well, I never thought this would happen. I met a photographer who started out in digital before the dawn of all things digital like I did. I met Kirk Saint a few months ago at a 2 day convention. I couldn’t believe he started out with one of these cameras like I did. We’re talking way back. As in the year 2000 back. When Canon introduced what I consider to be their most groundbreaking camera ever. And few, very few have heard about it. Maybe because it was primitive, at a mere 3.4 Megapixels. But most thought it simply couldn’t do the job. Many, in fact, thought digital was crap and a passing fad. Even the dude who owned our local camera store thought this. The best thing about this camera was the price. A very reachable $3,500.00 for the body. Not bad considering the next best thing was about twenty grand or so. By today’s standards I consider this camera, if I were to compare today, on par with a Model T Ford. With a hand crank no less. But whatever. Back in the day, it was revolutionary. And I bought one, with a Canon 50MM lens. I was Hasselblad and Nikon. I sold everything I owned. All of it. Except for my Nikon 105MM lens. Hey, I needed a portrait lens. So I found a dude in New York who sold Nikon to Canon lens adapters. I was in, in a manual focus way, for $85.00 plus shipping. Kirk’s story was similar to mine in that he got great results from this camera, in spite of the small file size. I was pulling off wall portraits the first year I switched. I had to be able to otherwise I wouldn’t have taken the plunge. Proof’s in the pudding, as they say. It ain’t bragging if you can do it. My next camera was the Nikon D1x or something like that. A whopping 5.5 MB. Again, I pulled off hundreds, nay, thousands of wall portraits over and over. If it does the job, it does the job. I prefer to obsess over marketing, than file size. P.S. Last month I interviewed Kirk. He runs a successful studio in a small town shooting amazing Santa images, cool sports photos and more….Members, login, go here. 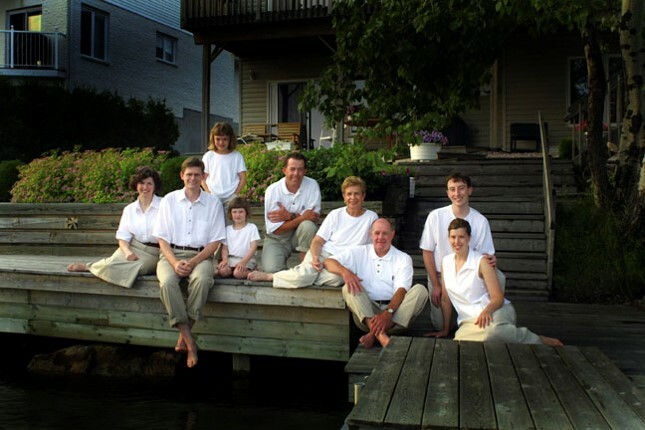 Maggie moved to Canada from Poland when she was only 16. She attended OCAD, one of our finest art universities and in spite of her lack of English and being in a foreign country, she acquired a degree in art. When I met her, about 7 years ago, she had been in her own photography business for about 5 years, and most recently took some seriously insane steps. Even she admits what she had done made no sense, was at the worst time one could imagine, under less than ideal circumstances. She had two young children at home. A husband. Mortgage, the whole nine yards. What did she do that made everyone around think she completely lost it? 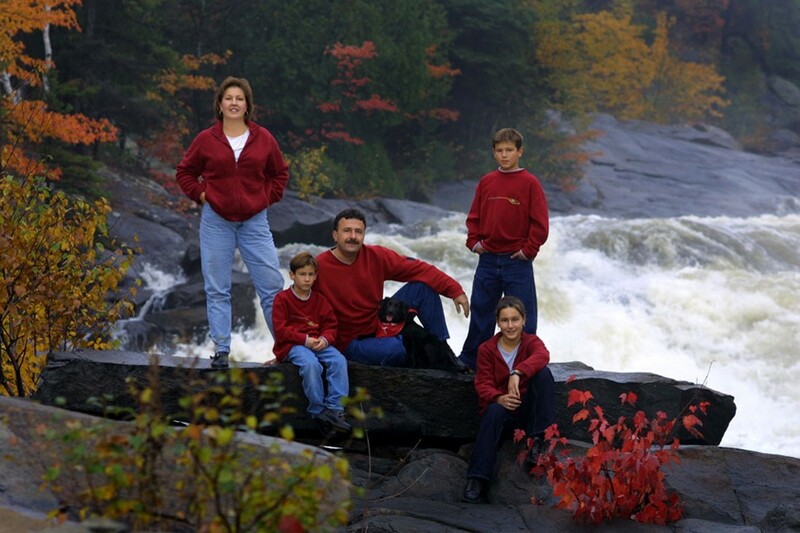 It was 2009, one year after the big economic meltdown, when more people were leaving photography than joining. Here’s the story of a true renegade. She mortgaged her home, and paid half a million dollars into the purchase of a new mall storefront condo. AND, she drops about an additional 100K in renos. See, she had a vision. And the passion needed to rise about the nay-sayers and doubters. One thing she has is passion. More than anyone I ever met. And balls. Great big audacious balls. Her story is amazing. Her studio is rocking. She’s top of the mountain. And she helps other photographers like as if they are her own children. And tonight, along with her studio manager Ian Cuthbert, who also has an amazing legacy in the photography industry, they will be judging the noBs Bull Pen Print Show. Your welcome to join in, watch and learn. I don’t know if there’s room to submit your images at the late time, but worth a go. Don’t delay, it’s only hours away. DETAILS on registration and submissions. P.S. Here’s even more about Maggie’s story. Call me Jungian or call me crazy. Last night I had a dream. A strange dream. All my dreams are strange. There I was, checking into a hotel in a strange city. I was attending a photography convention. And I couldn’t find the front desk. I kept walking around the hotel, looking. There was none to be found. Where’s the front desk!?? I did bump into the occasional photographer I knew from years ago. They were indifferent to me. Not very chatty. Nothing personal. Keep walking, keep searching. No luck. When I woke up I wondered if this was prophetic. Or at least indicative of what I already noticed about the photography industry. Photography, as in, professional photography. Professional, as in, a getting paid professional….as in, for me anywho, running my own photography studio. You see, in the last few years, the conventions I attended, was like being in the Wizard Of Oz movie. You know, the wizard was an illusion. An allegory for truth. The truth being, things aren’t what they appear to be. Sounds cynical, but it isn’t. You can still make it in photography, but it’s gonna take hard work, business savvy, focus, daily effort and marketing. If you want to make money. The photographers I know fit this description. Others lack in one, more, or all those areas. Business is hard. Period. Therefor, photography is hard. Period. But still possible. Just don’t have any illusions about it. Stay focused, adapt, everyday do something to market, have goals and everyday do something to achieve those goals. And be ready to pounce when any and all opportunities show up. Instead of sitting back, wondering. It’s why I interview real working professionals. People like Maggie Habieda, Maria Sampaio, Fuzzy Duenkel, Kirk Saint, Danny Rabalais and many, many more. If you want to wake up from the dream, you need to focus on business. Making money. There is no shame. It’s called reality. I ain’t dreaming this up. P.S. If you want, we still have a few spots left for this Thursday’s NoBs Bull Pen Print Show. This six minute video I explain why we need to be coached. 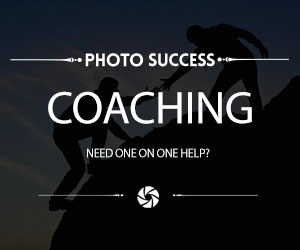 Join me online for some serious, content rich photography coaching. Why I don’t golf…and why I would if I did…. The last time I went golfing I almost killed a dude. That’s how bad I am. Besides, I don’t really like the game. I find it odd, like yoga. Strange, strange stuff…..but it could be me. Who knows. One thing about golf that is super cool, is the tight feedback loop. You know instantly if you’re doing ok. Music is the same way. You hit the ball, it responds with scientific accuracy. You play a note, it’s either in tune, or not. You take a photograph….well, maybe it’s ok, maybe it’s not. So you post it on flakebook. A hundred peeps tell you it’s amazing. You feel good. Wow….I am a photographer. Look at what I created. Look at the love and admiration. I’ve said this a million times. loop that matters in the business of photography is the money. Unless, of course, you’re in it for the hobby and therapy, which if perfectly OK. But if you’re in the biz side of things, the ONLY feedback loop that matters is sales. Profits. Cash. Sheckles. Don’t fight me on this one. You will lose. There is no alternative. We live on an economic planet. It’s always been that way. Don’t like it? Find another planet. Or, take up photography for other reasons. For me, it’s my passion, and my “job”. They must. They keep coming back. 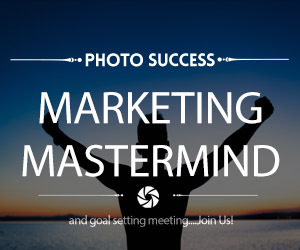 P.S.Want more information on shooting photographs that sell and marketing your photography business? Is photographic talent a gift from the gods? Many believe, because of the magical qualities inherent in photography, and the intrinsic ‘glamorousness’ in being called a photographer, that photography is a sublime, mysterious, noble, rare and sacred gift from the gods. And some photographers have the erroneous belief that talent, photographic talent, is an innate, programmed in their DNA, born-with skill set. A ‘gift’, so to speak. B.S. I say…..greatness, talent, creative works, and just about all success’s are learned behaviors and skills so to speak. It doesn’t come from DNA but from practice and perseverance honed over decades. Whether you believe in what I’m saying or not matters not. The good news is, you can grow your skills (talents) through perseverance, hard work and practice. Simple….follow the opportunities and bring your passion with you. If anyone tries to discourage you and lead you into believing you must be born with ‘the gift’, don’t for a second listen to any of that utter nonsense. Photography is a learned skill set. Just like playing music. You get better with time and practice. This creates a load of confusion. To know better gives you an advantage. 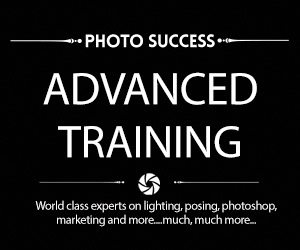 I see many photogs and aspiring photogs showing up at events and workshops to listen to their fave photog speak. This is all fine and dandy, but if you have the wrong mindset, you won’t be maximizing the return on time and money invested when attending photographic workshops and seminars. Instead, you’ll be mesmerized and in awe. The bigger the name, the bigger the awe level. The big name marquis celeb speaker will leave you with a sense of amazement, maybe a tad more. Instead of grabbing and cultivating as many legit strategies and principles that you can borrow and roll into your own photography and photography business, you’ll swim into the egotistically driven experience. We tend to do this as humans and photographers, in my opinion, are extra vulnerable. Notice I threw in the word “business” in there. That’s a hint in case you missed the big picture. Sitting at the foot of the guru seems to be enough. The alternative is, go for knowledge. Take notes. Grab ideas and make them your own. Action, action, action wins out every time. Grab inspirations that evolve in your mind, and when you get back to your studio, practice. Yes, practice. Too many just think about this, or worse yet, wait until their next paid gig to practice whatever ideas and inspirations visit upon them. And then they flop. Why? It’s that simple and boils down to discipline. Give me discipline over talent any day. We’re no different, not better than any other creative discipline. When a symphony musician has to learn a piece, they don’t show up at rehearsal never having practiced anything. They must study and practice until their fingers bleed. Or pay hell with maestro. With musicians, it’s obvious. You don’t know the piece, it sounds like crap. In photography, many people/clients/photogs lack judgement or discernment and believe what they see is a great photograph. Until they see something better, and get educated. Therein lies the opportunity to show your clients something better and educate them on quality. Many photographers, unfortunately, are prey to their own weakness’s and egos. And the BS shoveled by others. They think they have enough because the got some gear, and a great logo. Herein lies the opportunity for you to know this, and rise above the cacophony and noise of traveling with the ego circus. The more you lean on your laurels the more they will tend to become wreaths. This field, in order to be successful is far more about self-discipline, passion and business. Yes, you must suffer for your craft. This is not a new idea. Anyone who has honed their “talents” to the point of creative mastery knows it. Nonsense. There is no such thing as natural. What you don’t see is the endless hours of hard work and dedication. That is the true source of talent. Yes, yes, we can have a predisposition for certain skills. But unless we put ourselves into the right circumstances these remain latent. The DNA in us never wakes up. The key of course, is to put ourselves in those circumstances through discipline and focus. Now get to it. And get good. Start with you. Your passions, your vision, your drive….It’s why I push marketing, personal goals, ongoing mastermind meetings and an eye to self-development. When you get courage, steadfastness in the face of adversity and hone in on YOUR marketing…..then, and only then will opportunities show up. They don’t come looking for you unless and until you feed the beast. Join me in 2017 and let’s feed the beast. 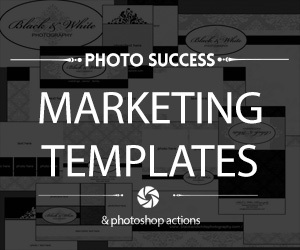 The best profit making lighting strategies from the trenches…. I do start chomping at the bit. family, food and Xmas carols. This week is a crazy one for us. Betwixt Xmas and New Years often is. Truth is, I love it. 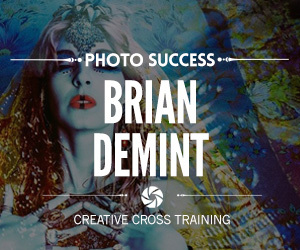 Creating images and getting paid…sweet deal! There’s so much crap out there. Hype, nonsense, BS and hyperbole. 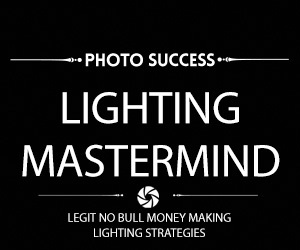 mask and reveal the truth in running a photography business. No matter the economic climate. I’ll be sharing real lighting scenarios from the trenches. From PAID GIGS…. *basic overview of studio lighting…soft box VS halo light VS beauty dish…. a front page lifestyle magazine. same place as the past replays.